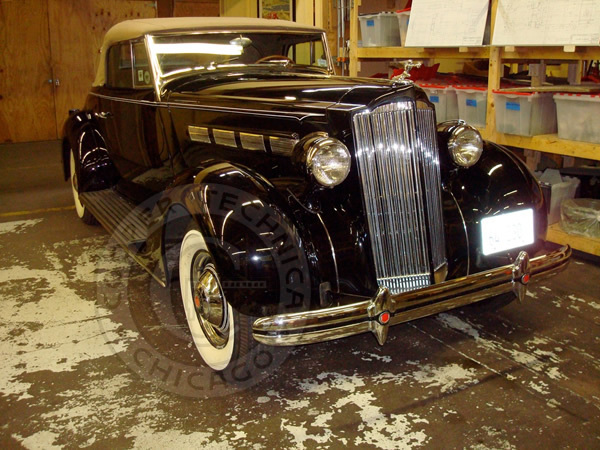 One Chicago family has owned this car since new, purchased in April, 1937. 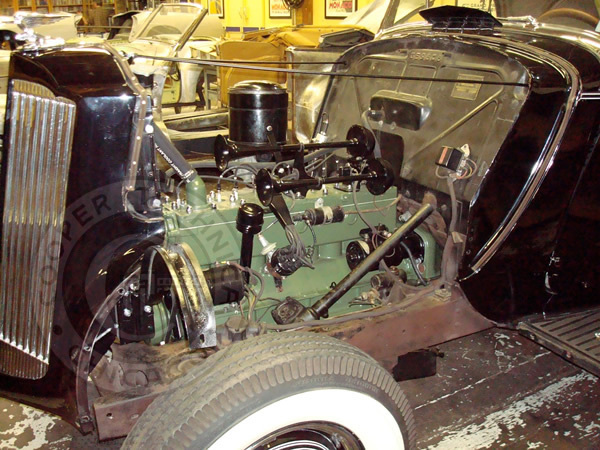 The car is unrestored, though it has been repainted. Cooper Technica has been maintaining the car since 1995. 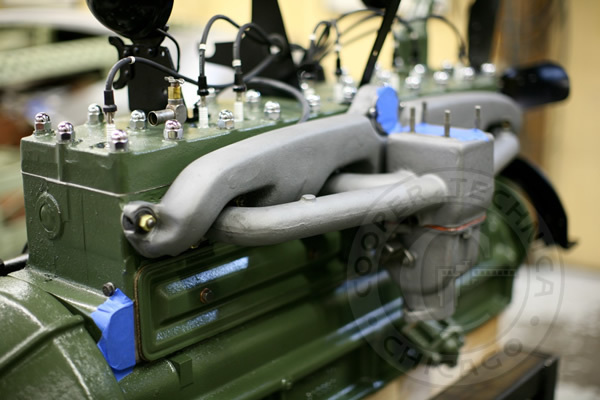 Last year, while driving, a cylinder wall cracked in the engine block. 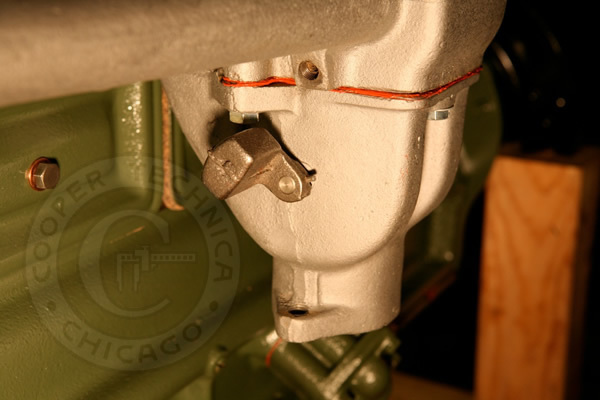 Cooper obtained a replacement engine block with the appropriate date code and rebuilt the engine. The work had to be done so that the owner could drive the car reliably. 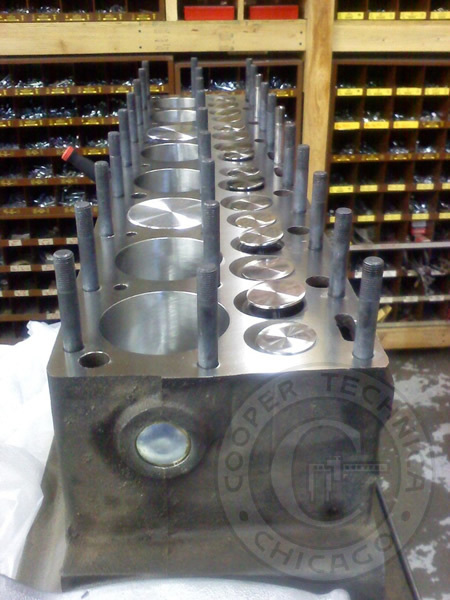 The engine block ready for re-assembly with new deck surface, new pistons, new valves, hardened valve seats, and head studs. 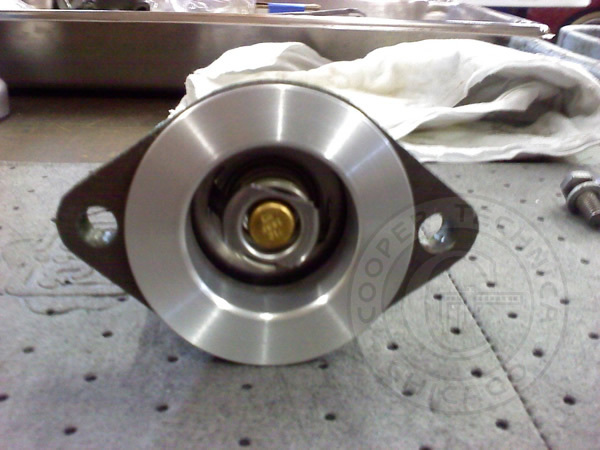 Custom adaptor made by Cooper Technica to hold modern thermostat in original housing. The exhaust manifold heat riser valve was completely rebuilt and now functions properly. 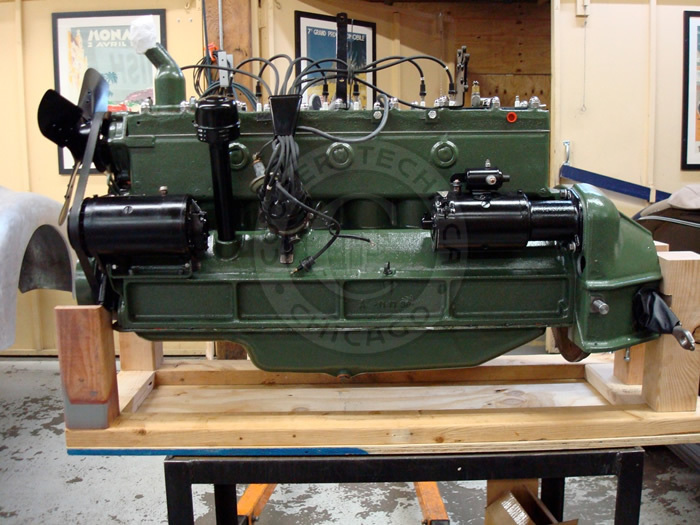 Engine assembled, painted, ready for installation of the oil pan. 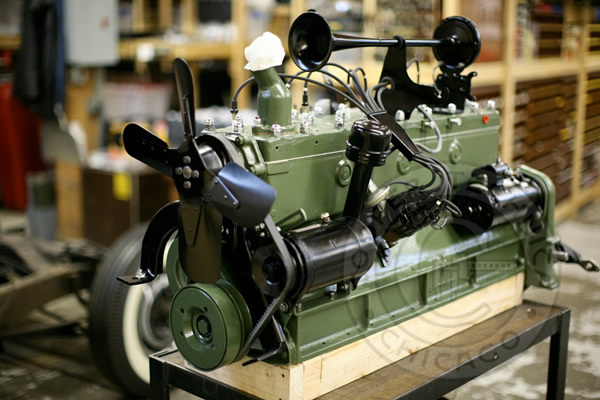 The completed engine ready for installation back in the Packard. The engine installed back in the engine bay. 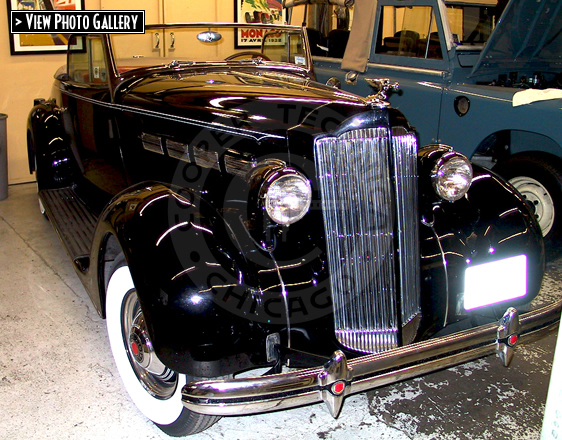 The completed Packard 120 ready for the road.